I saw a new entry into the health, nutrition and wellness arena recently. It was called Acai Designer Health and Energy Beverages. Of course we've had the various juices like noni, and goji and acai berry etc. All this shows is that the wellness, health and nutrition industry is constantly growing and expanding. Which means more and more companies are trying to capitalize on this growing trend. This is an interesting concept - designer health beverages. I suppose with all the designer clothes, etc. it was only a matter of time before we had designer health products. Only time will tell if these products catch on or not. In the meantime the Life Plus Nutrition products like Daily Biobasics and Proanthenols OPC continue to play to rave reviews. Information in acai vs goji berry plus weight loss information. We received our order promptly and it was undamaged. Thank you for your wonderful service! My wife and myself are like observers in a sense, but we have also studied many articles and journals concerning weight loss. This is our frank opinion based on results we have seen with people taking various weight loss products. We do not have millions of dollars at stake so we can afford to be upfront and open with you. It's hard for companies to be totally objective with millions of dollars at stake. People eat too many carbohydrates and they don't take in enough protein on whatever diet they are on so in effect they are causing their bodies to instead of burning fat to burn lean muscle. In effect lean muscle burns at rest about 17 times more calories per day than the same amount of fat. The amount of muscle you have greatly determines your metabolism and how many calories your body burns each day. This is why people when they come off their diet and start eating again they can put the weight right back on again as their body is now naturally burning less calories than before. In effect they have slowed down their metabolism. This is especially true it seems of women who have less natural muscle mass than men. This is really why the Atkins diet is so effective. It cuts out a lot of the carbohydrates, which because people often eat too many of them, causing them to gain weight. And by eating the protein it is making sure that you don't lose any muscle and may even help you gain some additional muscle mass. Atkins Diet and What to Eat - Click Here! Benefits of a Raw Food Diet - Click Here! Speaking of creating muscle - here are some tips on creating 6-Pack Abs Muscle - Click here! Weight Loss and Diet Supplements from Life Plus - Click Here! Health information about the Chinese Herb Jiaogulan. Since the recent discovery of these “longevity pockets” in southern China, more than 300 scientific studies had been published in respected scientific journals demonstrating jiaogulan’s incredible rejuvenating powers. This “Miracle Herb” Jiaogulan is used by health practitioners throughout China to support virtually every aspect of human health. Here are just a few of the many documented benefits of taking Jiaogulan. Jiaogulan increases antioxidant protection in the body. Studies have shown a significant increase in SOD, the body’s most important antioxidant enzyme. Jiaogulan enhances circulation throughout the body. By increasing nitric oxide synthesis, jiaogulan helps critical blood vessels to relax. Jiaogulan strengthens your heart. Jiaogulan has been shown to optimize the strength of the heart muscle. Jiaogulan manages your cholesterol and blood lipids. Jiaogulan has been clinically shown to be beneficial for maintaining cholesterol and blood lipids already in the normal range. Jiaogulan helps you achieve your ideal weight. Jiaogulan improves metabolism and reduces fat and sugar in blood. Jiaogulan enhances overall immunity. By activating lymphocytes and antibodies, jiaogulan has been shown to enhance immunity. Jiaogulan helps fight fatigue. Jiaogulan has been shown to have a pronounced anti-fatigue effect. Introducing Fusions Red - the new Joint Support and Healthy Anti-oxidant Super Fruit product. Fusions Red is made from a 100 percent all-natural, highly concentrated “super fruit” blend (Sour Cherry, Pomegranate, Concord Grape, Black Cherry, Noni, Goji Berries, Mangosteen, Acai Berries, and Gac Fruit) providing you with a powerful boost of natural antioxidants. Life Plus’s unique proprietary cold-process concentration technology makes Fusions Red distinctive because it yields a raw material similar to the viscosity of honey. This means that no bacteria or fungi can grow in the product, making preservatives unnecessary. The concentration technology also allows the naturally occurring phytonutrients in each fruit to remain intact, delivering a full complement of those phytonutrients in a highly bioavailable form. Helps maintain healthy joint function and comfort.◊ This breakthrough product is a perfect complement to other Life Plus products for supporting joint health (Joint Formula, Lyprinex (Lyprinol), MSM and Proanthenols OPC). Great for kids too! Delicious chewable capsule that can also be squeezed on foods. Fusions Red has tremendous benefits for healthy joint, but is so much more. The super fruits provide tremendous antioxidant support as well as immune system, cardiovascular, brain, healthy eyes and skin and even prostate support. Fusions Red Special Special Offer: Plus for a limited time to introduce this new product Order Fusions Red and receive a second Fusions Red FREE for each bottle you order! Various information on anti-aging, antioxidants, health and nutrition information. If you're really serious about fighting the war against aging, you'll want to take advantage of every advance that science has to offer. You should optimize your antioxidant defenses with vitamins, minerals, and plant-based phytonutrients. They work at the cellular level to protect against free-radical damage, especially to your vital cell membranes and DNA. Nutrients like biotin, riboflavin, zinc, copper, manganese, MSM, and grape seed OPC extract, which has been shown in studies to block bad body enzymes that can lead to wrinkles and a prematurely aged appearance. You want to take ultra-purified fish oils that feature a high potency of DHA, an essential omega-3 fatty acid that helps to nourish and protect your brain and nervous system. Omega-3 fatty acids EPA and DHA are also crucial to cardiovascular health. Immune support is crucial in the fight against aging, and can be achieved with advanced levels of ph-balanced vitamin C complex, carotenoids, and shiitake mushroom extract-Reverse Anti-Aging support. Support your normal healthy vision and protect your precious gift of sight with eye-specific antioxidants such as beta-carotene and selenium, and the carotenoids lutein and zeaxanthin. They can help to protect against age-related can help to protect against age-related macular degeneration (AMD), the leading cuase of blindness in people over age 50. Eight Excellent Tips to Increase Metabolism and Maximize Weight Loss! 1. Drinking water has been shown to temporarily increase the metabolism and help the body burn extra calories. It is theorized that this is mostly due to the fact that the water absorbs body heat, and the body must then work to replenish the lost heat. Because of this, it is also theorized that drinking cold water can help you boost your metabolism even further. In one study, drinking water was shown to burn extra calories from fat in men, and form carbohydrates in women. 2. For higher overall, resting metabolism, nothing is as beneficial as lean muscle mass. This doesn't mean, however, that you need to rush out and join a gym or start drinking protein shakes. Simple muscle-building workouts that aren't stressful on your body are ideal for improving your metabolism. (Tai-Fit) If you can, work a few rounds of push-ups or sit-ups into your day. It's not really important where you tone – that added muscle is going to burn calories even as you sit. 3. Eat. 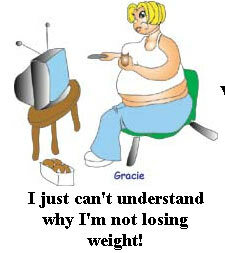 A huge mistake some people make when trying to lose weight is starving themselves. Fasting is not only unhealthy, but it's also harmful to weight loss efforts, as it causes your metabolism to slow down. When the body doesn't think it's going to be getting enough food in the future, it goes into fat-storage mode, and this is the last thing you want. Healthy meal portions are a good idea, but keep it reasonable. To really boost your metabolism, try eating smaller meals, but have more of them in a day. 5. Get at least seven hours of sleep each night. Sleep is far more than a simple time for energy recuperation. Lower levels of sleep can cause the body's metabolism to slow down, and the body actually regenerates lean muscle during the last hours of sleep each night. Get enough sleep, and you'll keep all that muscle you've been working for, helping to keep your resting metabolism high. 6. Fend off unnecessary stress. Stress isn't only unpleasant, it's unhealthy and it slows your metabolism way down. (TAIslim weight loss and cortisol) The belly is the worst area possible to accumulate extra fat, and as you may know, stress triggers fat storage in this unhealthy place, putting you at a higher risk of heart disease. It's unrealistic to think you can always avoid situations that cause stress, but with a little bit of time management, you can find ways to relax and take your mind of things that are getting to you. 8. One of the simplest and most effective ways you can boost your overall metabolism is to get up and move. You don't have to join a gym - simply take the stairs. Research has shown that minimal but consistent increases in physical activity can have a very positive effect on metabolism. Parking your car as far away from the door to the supermarket, for example, will not cause you to really break a sweat, but you will be getting more exercise. 7 Reasons Weight loss programs don't work plus tips - Click Here! Information on Hoodia Gordonii and Weight Loss - Click Here! In order to lose weight there are 4 areas that must be addressed. First you must fight the body’s production of stress hormones that cause you to accumulate unhealthy belly fat. Plus reduce calorie intake mostly from various starchy and fatty foods. Second in most people you need to increase their metabolism – they don’t burn enough calories to offset what they take in. Third you need to control or suppress appetite and curb food cravings. Fourth you need to slow the absorption of food to improve metabolism. Plus did you know certain types of unhealthy bacteria or microflora can increase the breakdown of food and create additional calories. You need to counter these harmful bacteria. Here is a weight loss product that addresses these various areas. TAIslim Weight Loss Product - Click Here! TAIslim Weight Loss Testimonials - Click Here!